US equity indexes closed fractionally mixed, sp -2pts at 2582. The two leaders - Trans/R2K, settled -0.2% and u/c respectively. VIX settled +7.5% at 11.29. 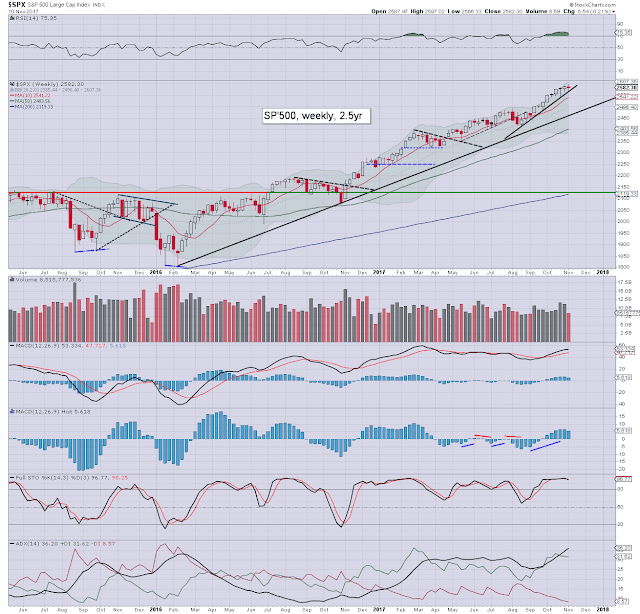 Near term outlook offers the sp'2600s by Thanksgiving. The year end target of 2683 will be technically within reach. US equities opened a little weak, saw a morning low of 2575, with a moderate upswing into the late afternoon. A few indexes even turned fractionally positive. Market volatility remains broadly subdued, with the VIX settling the week in the low 11s. The key 20 threshold looks out of range for the rest of the year. 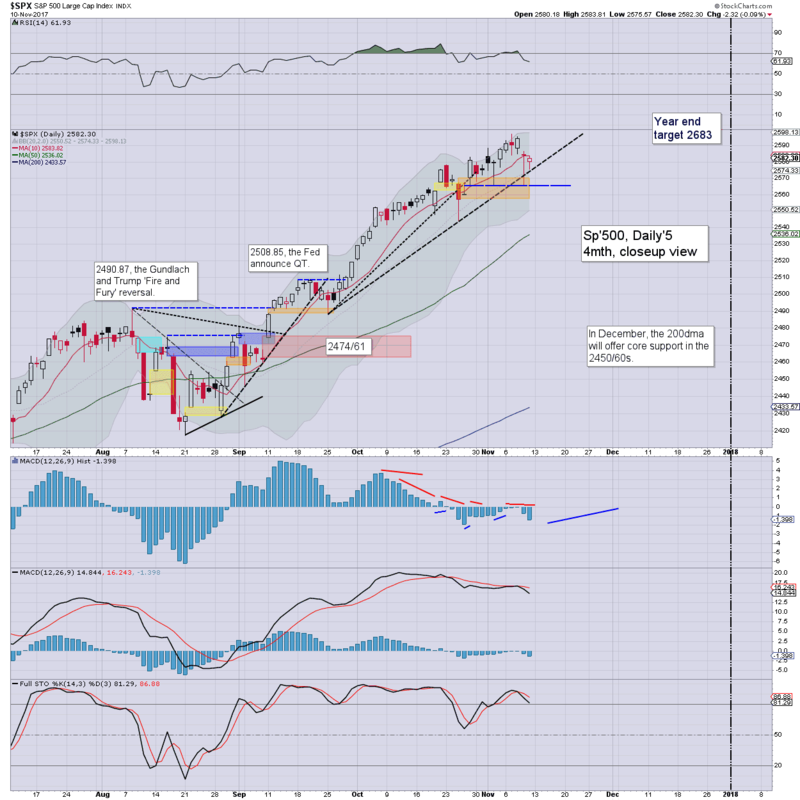 Near term outlook offers the sp'2600s by Thanksgiving. 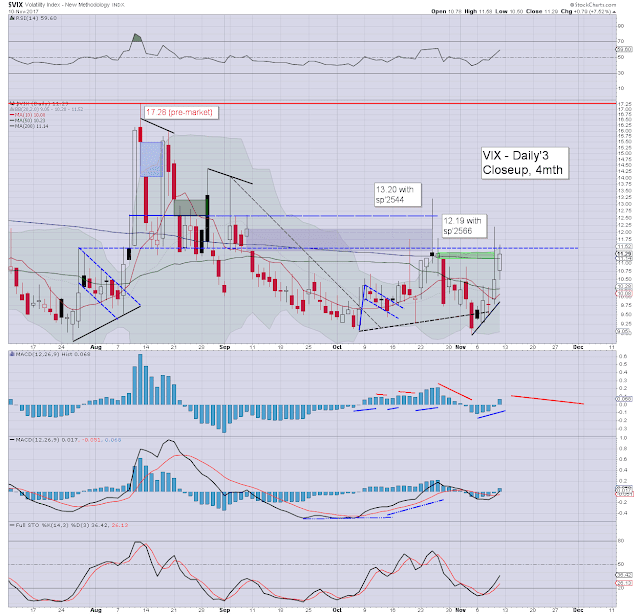 If correct, the VIX will be back in the 9/8s. 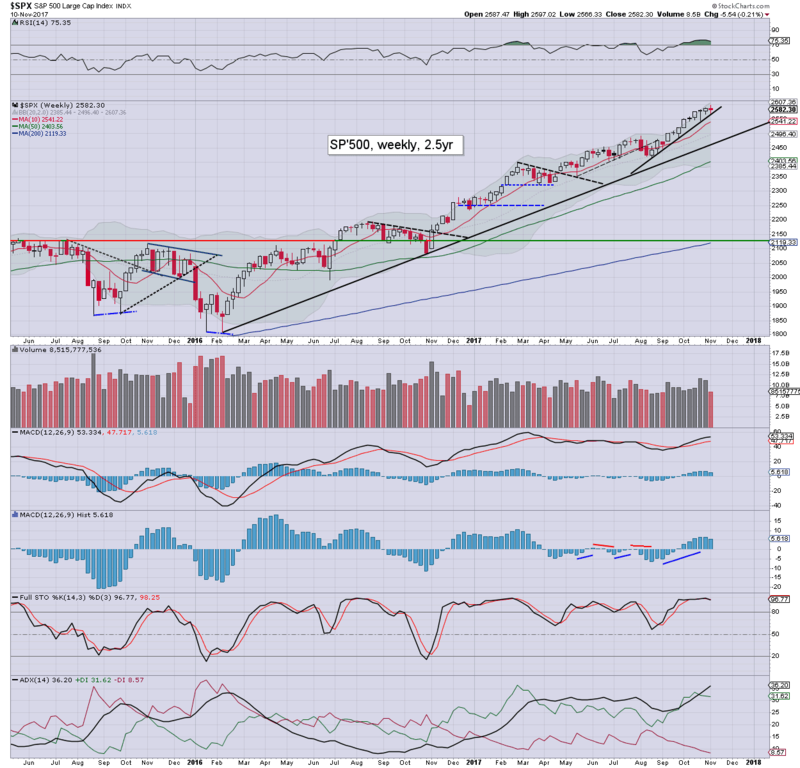 A notable new historic high of 2597.02, but a net weekly decline of -5pts (0.2%), the first decline since early Sept'. Broadly, the m/t trend remains super strong.